Litter is a blight on our communities. It turns our beautiful spaces that should be relaxing havens for us into eyesores and makes residential areas appear even more run-down than they actually are. London, just like everywhere else in the country has a major problem when it comes to litter but maybe even more so because of our large population. It is one of those things that ends up in a cycle, when there is litter all around people don’t feel that guilty about throwing down a bit more and adding to the problem even further. This is one of the reasons why rubbish removal in London is essential, the problem has to be kept on top of. One way that Keep Britain Tidy are trialling to help combat the issue is their ‘Great British Spring Clean’ event. This is a campaign that is running from 22nd March to the 23rd April 2019, in which communities are encouraged to organise and run their own litter picks in a bid to clean up their areas. With 251 picks happening in the London area, rubbish removal in London is set to be a top priority throughout the month-long campaign. People can get involved in the campaign by registering on their website as an organiser or they can join a pre-existing campaign to volunteer their time in order to help clean up the streets, parks and open spaces of London. It is hoped that by groups volunteering throughout the country, areas can be restored to their natural beauty and that as part of the process they can educate those who have found littering acceptable in the past as well as discourage further instances of littering. Litter is so bad for us as a community, not just because of the way that it spoils our view or because of the danger that it poses to our wildlife. It also increases the problems that we have of sending too much to landfill. Rubbish that is just left on the street by careless people very rarely finds its way to a recycling centre, it’s usually just sent straight to landfill, contributing to the problems that we have with global warming and the fact that our oceans are being filled with plastic. That is one of the reasons why Keep Britain Tidy are asking participants in their ‘Great British Spring Clean’ event to sort through the little they collect and recycle as much as possible. This is something that we here at Clearabee support too, we believe very passionately that when it comes to rubbish removal in London we should avoid sending as much as possible straight to landfill. Clearabee are experts when it comes to rubbish removal in London. We can offer same day rubbish collection in the London area and we are available 24/7 for all your collection needs. 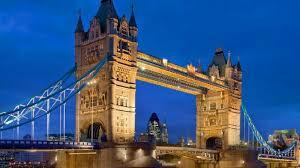 We are affordable and reliable, we really believe that using our services can help keep London clean. They are also strong believers in the idea that we should be sending as little as possible to landfill. We sort through all the rubbish that we collect and send what can be used again to charity shops or to re-use centres. We also send everything that can be recycled to the relevant waste transfer stations, preventing it from ending up at the landfill. Through doing this we often send less than 10% of what we collect from you to landfill, everything else is recycled in some way.